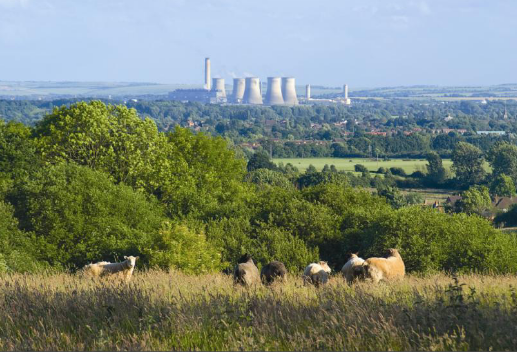 The pasture and woodland stretch out to reveal extensive views of Didcot and the Berkshire Downs to the south, and to Princes Risborough and the Chiltern Hills to the east. The field has been designated as a Local Wildlife Site for its unimproved grassland on Lower Greensand soils, and wet flush/spring areas, which are unusual in Oxfordshire. A map of 1886 shows the land as open hills with Rye Hill Barns occupying the site of what were once Roman Pottery kilns. These are marked on the current Ordnance Survey map. OPT bought the land in the 1930s from Abingdon Rural District Council when they were no longer needed as catchment areas for water for Sunningwell. Today they provide an area where people can take in fresh air, enjoy the view and a walk along the footpath.